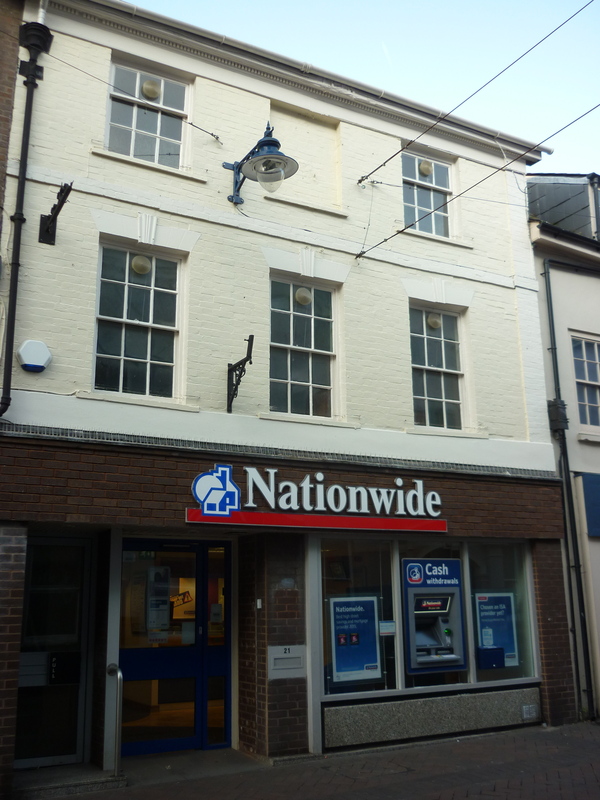 Modern elevation to High Street but the rear is built of stone and may well be medieval. At the rear of the property were said to be the kitchens of St John’s school 1542 to end of 19th century. A small red sandstone archway can still be seen at the back of no.21 leading to the lane between High Street and St John’s Church (St John’s Lane was cobbled until 1979 – probably the last cobbled street in the town). Oldest piece of lead downpipe still in use in town (made on a plumber’s bench) on the south side of the building. John Williams, solicitor, has photograph of corbelling stonework uncovered to show present road surface, 3 feet above old. 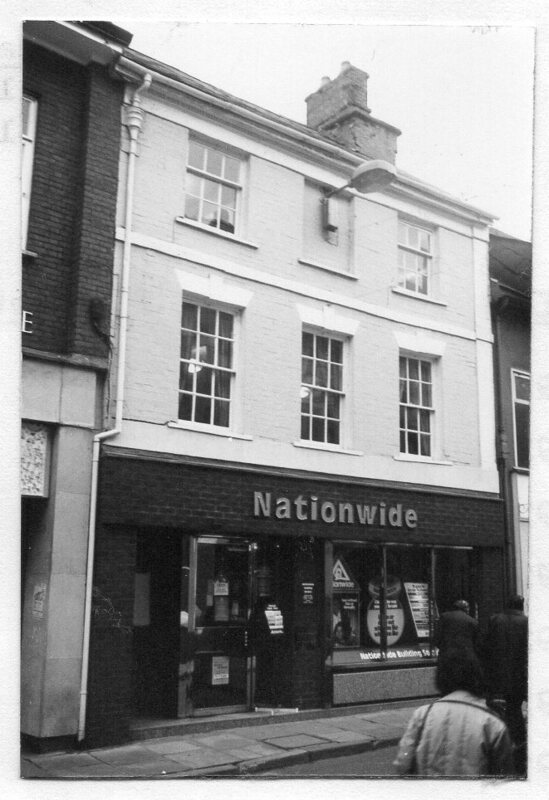 1982: Nationwide Building Society. Advertisement for shorthand typist and office cleaner in 1982. 1980: Property Growth Insurance Company Ltd.